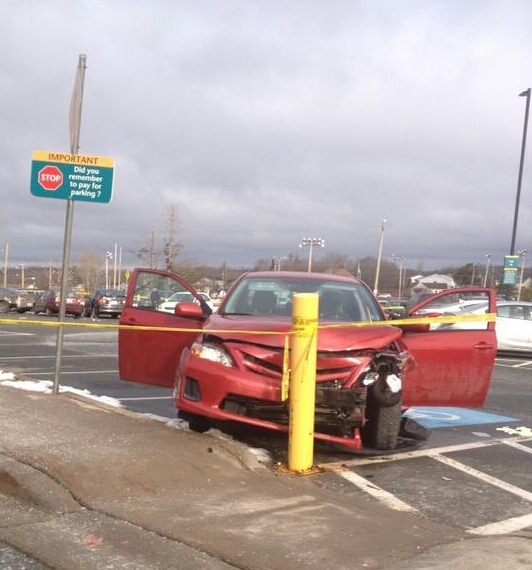 UPDATED: Totalled Car In Cobequid Health Services Parking Lot: | Sack-Vegas!!!! This car apparently tore across the parking lot this morning and obviously ended up here. Not yet sure why, and there are reports of a pedestrian being struck. Let’s hope everyone is O.K. here. I’ll update this as soon as I get more info. Posted by Sacky on April 4, 2014 in Shared News. The driver had a heart attack.